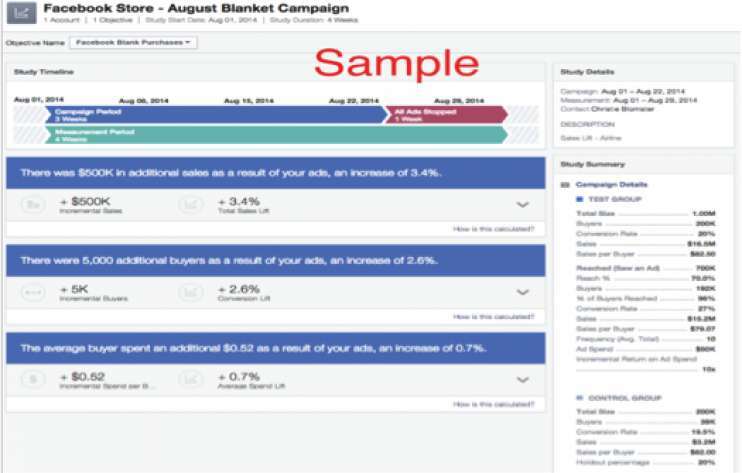 Facebook Global Business Solutions has just announced some exciting enhancements to the Conversion Lift Measurement program it unveiled earlier this year. Designed to provide accurate, cross-platform campaign performance data, Conversion Lift Measurement now enables its users to set up studies with multiple test and control groups and allows them to measure lift across multiple purchase channels. These updates make it easier for marketers to optimize their Facebook campaigns and gauge campaign success, regardless of where a purchase is made. As performance-driven marketing services providers, we at Prove wholeheartedly support any steps the social media industry takes to be more accountable to its B2B customers and help them make more informed decisions. And nothing speaks louder than providing solid, scientific evidence of the impact a marketing channel is having on a business's bottom line. In fact, our entire enterprise is built on our commitment to providing actionable insights that help businesses minimize their marketing risk and maximize their ROI across all channels. However, we also recognize that behavioral data is just one part of the puzzle when it comes to making your marketing dollars count. It also takes targeted, strategic analysis of what's driving those behaviors and what it will take to sustain them — insights that raw data just can't provide on its own. There are many factors that play a part in moving consumers through their purchase process, as well as in supporting the customer relationship after they've made a purchase. For example, if you aren't creating meaningful, targeted content that you can deploy on the right channels at the right time, your performance gains may be short-lived. Facebook, while powerful, is just one of many engagement channels marketers have at their disposal. But determining whether it's the right channel to reach your audience, and how to use it to bring in new prospects and keep current customers engaged — well, that's something the Prove team would love to help you figure out. Let's talk.